Continuing upstream along the Stanislaus River we arrived at the Camp Nine Pedestrian Bridge. This is another tall, modern-looking structure that provides a nice contrast to the rugged beauty of the Sierra Mountains. 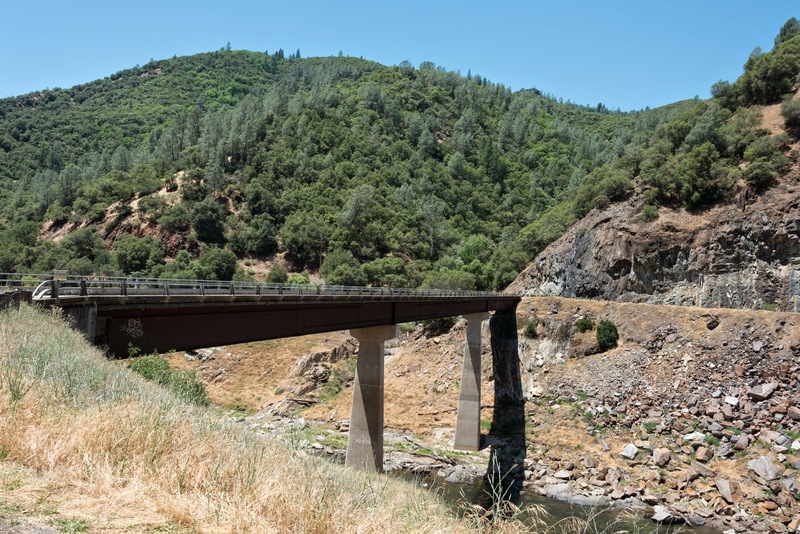 We previously visited this bridge in June of 2013 from the Calaveras County side of the river. It was built by the US Army Corp of Engineers to replace an old flood damaged bridge. Tuolumne County, California Bridges; New Camp Nine Road Bridge across the Stanislaus River by Mark Yashinsky is licensed under a Creative Commons Attribution-NonCommercial-ShareAlike 3.0 United States License.